What does it take to create art? Is it education, discipline and skill? Or is it raw talent and real-life experience? 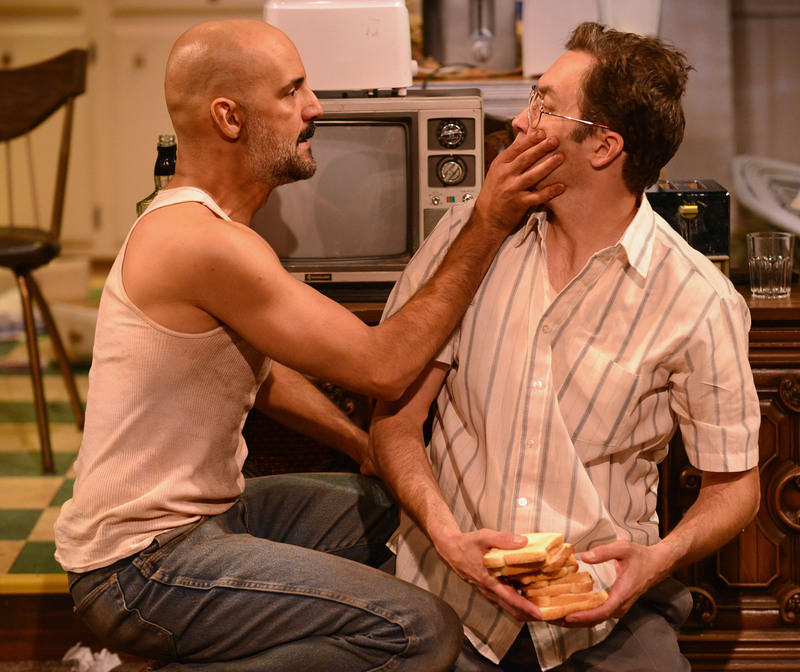 It often takes some of both, as we witness in Sam Shepard’s True West, currently in production at Gloucester Stage. 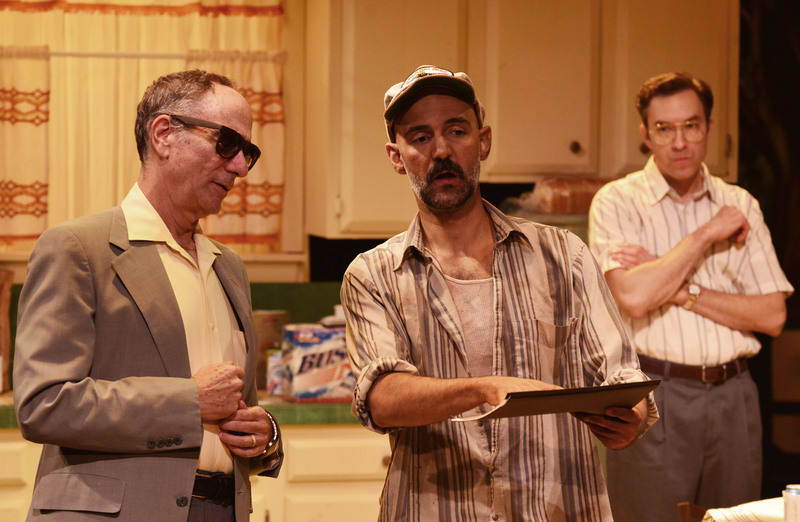 Set in their mother’s home 40 miles east of Los Angeles, True West explores the explosive conflict between two brothers: Austin, the successful family man; and Lee, the nomadic drifter and petty thief. Austin is house sitting for his mother, who is vacationing in Alaska. A successful screenwriter, he’s at work on his latest script when his brother Lee, a beer-swilling drifter and petty thief, drops in unannounced. Austin (played by Alexander Platt) worries that Lee has showed up to rob the homes in their mother’s affluent suburban neighborhood. That may be true, but the Lee (a menacingly brilliant Nael Nacer) has also come to steal something less tangible and far more valuable to Austin. Lee and Austin bicker when the touchy subject of their destitute, alcoholic father comes up, and Lee tells Austin that like “the old man” he’s been living out in the desert of late. Lee resents his brother’s success. He has nothing but contempt for his art, saying that Austin “gets paid for dreaming stuff up,” and mocks his Ivy League education and upper-class lifestyle. Austin can’t get much work done with Lee’s constant needling interruptions. Austin eventually tells Lee that he has a producer coming over to discuss a script, and it would be better if Lee weren’t around. Lee angrily accuses Austin of being ashamed of him. Eventually, to get rid of Lee for the afternoon, Austin reluctantly gives in to Lee’s demand to borrow his car, even though he knows his brother is planning to go out and steal from homes. As Austin is discussing his script with producer Saul Kimmer, Lee returns, toting a stolen TV. Awkward introductions are made and Lee announces that he has a few ideas of his own for movie scripts – movies about real life. Lee charms the producer and fast-talks him into agreeing to go golfing the next morning. When Lee returns from the golf game, he informs Austin that Saul now wants to produce his script and has decided to drop Austin’s. Austin can’t believe it until Saul returns and confirms that he wants Austin to junk his bleak, modern love story and write Lee’s trashy Western tale. Austin refuses – until Saul says that he will produce Austin’s story only if he agrees to help Lee write his. “He thinks we’re the same person!” Austin exclaims, a line that hints at Shepard’s view of the dichotomy and conflict that exits within the artist. The situation escalates and their roles as successful screenwriter and hard-drinking, drifter are somehow reversed. Ultimately, each man finds himself admitting that he has always envied the other’s lifestyle. Suddenly, Mom (Marya Lowry) returns home early. She finds that her house has been trashed in the course of her sons’ drunken battles and her beloved plants are all dead, but the only resistance this matriarch of dysfunction can muster is to admonish her boys about yelling in the house. Joe Short’s tight direction manages to balance the violent chaos and the wryly comic elements of this play, and there is an abundance of both. Lee’s story idea may be shallow and contrived and Austin’s script may be dull and passe. 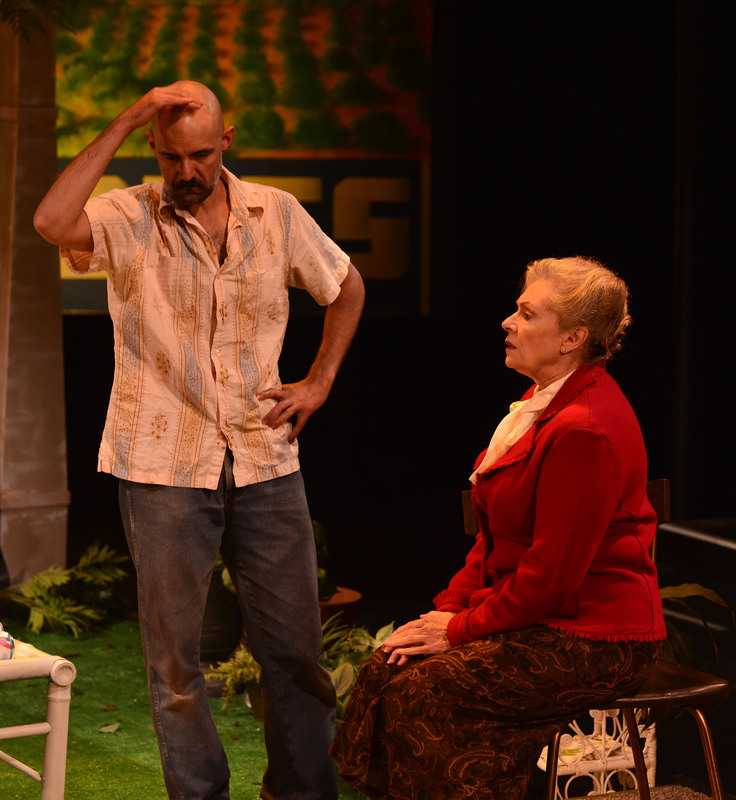 But GSC’s production of Shepard’s play is gritty and authentic, the real True West. 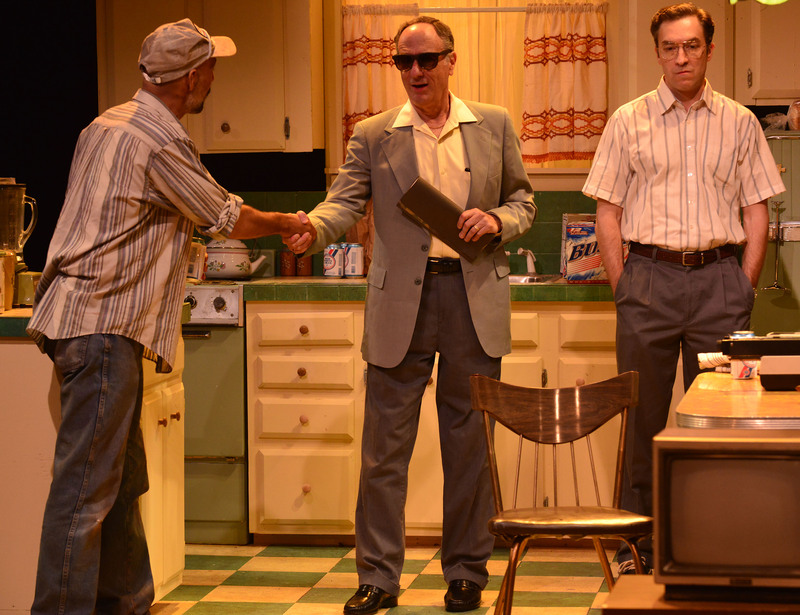 Sam Shepard’s True West runs through Sept. 8 at Gloucester Stage, 267 East Main St., Gloucester, MA. Performances are Wednesday through Saturday at 7:30 p.m.; Saturday and Sunday at 2 p.m. Purchase tickets online, or call the Box Office at 978-281-4433 or visit.